Height: 6' 1" Weight:215 lbs. Background: He was too slow to play defensive back and not big enough to play linebacker. He was not even drafted out of USC. That was just a minor distraction for Sammy Knight. He arrived in New Orleans in 1997 as an undrafted free agent and forced Mike Ditka to keep him. In a matter of weeks into his rookie season, he became a starter and made a huge impact with five interceptions and a fumble recovery. Knight was even better in 1998, with six interceptions, two of which he returned for scores while adding a pair of fumble recoveries. After a bit of a down season in 1999, he was a primary force in the Saints winning a division title and winning their first ever playoff game in 2000 with five interceptions, two sacks and a fumble recovery. Upping the ante again in 2001, Knight finshed with six interceptions, five fumble recoveries, two forced fumbles and a sack. In 2002, Knight had five interceptions, two forced fumbles, a fumble recovery and two sacks. He finished in the top 10 in interceptions four times while with the Saints. Knight then left for Miami and played six more seasons in the league, recording 14 more interceptions. He had a great sense of identifying plays and finding the ball to offset his lack of overall foot speed. Knight was a superb ball hawk and tackler with the Saints. Greatest Moment It was a special moment, a special day and game. In 34 years, the New Orleans Saints had not won a playoff game. That would change on Dec. 30, 2000. Facing the defending Super Bowl champion St. Louis Rams and The Greatest Show on Turf in the Louisiana Superdome, Knight picked off Kurt Warner twice as the Saints built a 31-7 lead and held on to win 31-28 for the first playoff victory in franchise history. One was an off balance, one-handed grab. 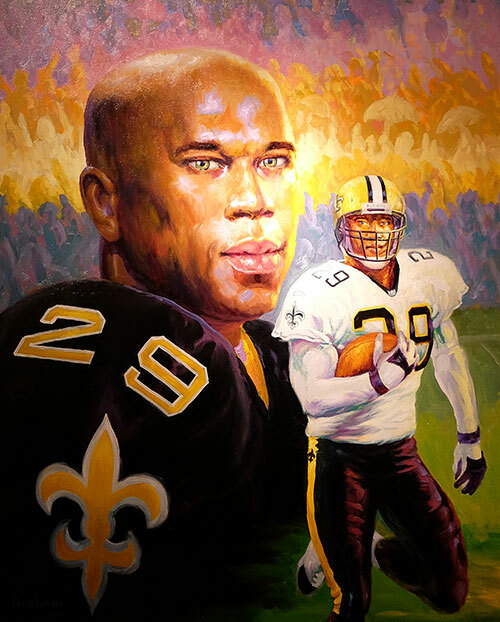 Honors Knight was inducted into the Saints Hall of Fame in 2011. He was named to the Pro Bowl in 2001.